So even though Coach Joe Vitt was never indicted, Saints fans might remember that he seems to have an interest in vicodin. And now Coach Sean Payton of Our New Orleans Saints is going to be under treatment for the foreseeable future for pain related to his nasty spill on Sunday. I assume pain-killers will be around. I'm hoping Coach Payton keeps his supply in a safe place, ya know? The choices for Lieutenant Governor in 2011 in Louisiana are pretty grim, nowhere near world class. 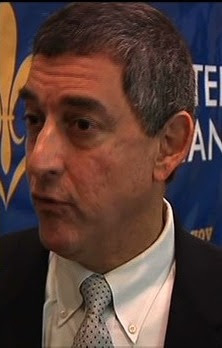 On the other hand, we have Jay Dardenne. 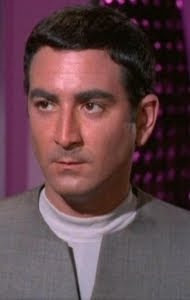 Perhaps the most interesting thing about Jay Dardenne is that I have photographic evidence below that Jay Dardenne is a Klingon. Captain James T. Kirk proved this without a doubt by using a tribble's innate Klingon-detecting abilities in the Star Trek episode "The Trouble with Tribbles." Let me say this definitively: Now that the Federation is at peace with the Klingon Empire, I would be fine with having a Klingon lt. governor; a more aggressive approach to the tourist industry might be just what our state needs.